This workshop is supported by the NINS program of Promoting Research by Networking among Institutions (Grant Number 01411702). The International Workshop on Models and Data for Plasma-Material Interaction in Fusion Devices (MoD-PMI 2019) is organized in cooperation with the International Atomic Energy Agency (IAEA) for the fourth time. This workshop was initiated by the ICTP-IAEA Conference on MoD-PMI held in Trieste in 2014. Following the ICTP event, the first workshop on MoD-PMI was held in Marseille (2015), the 2nd workshop in Loughborough (2016), and the 3rd workshop in Jülich (2017). The workshop is intended to bring together researchers from the areas of fusion energy and materials science to review advances, both experimental and in the modelling, in study and understanding of processes relevant to plasma-material interaction in fusion devices. The workshop aims to provide a bridge between fundamental and multi-scale computations and interpretation of experimental data. A variety of processes to be addressed spans a wide range of scales and includes material erosion, transport and trapping of hydrogen and helium in fusion relevant materials, as well as changes in the material microstructure, composition and morphology. Experimental data for modeling: surface and bulk analysis, spectroscopy, microscopy, etc. The deadline for the abstract submission is 19 April 2019. Oral and poster presentations are welcome. A one page abstract must be submitted using the template available here. The registration is free of charges. For registration, please fill out the registration form and sent it to mod-pmi2019@nifs.ac.jp by 18 March 2019 extended until 19 April 2019. The workshop dinner will take place on Tuesday (18th June) at Yamagami Onsen, Japanese hotspring house in Toki (http://yamagamionsen.jp/). During the dinner, there are also attraction of Japanese instrumental ensemble. For participation to the workshop dinner (by reservation), a fee of 10,000 JPY will be collected by cash. We prepare a lunch box of 500 JPY by reservation. For participants who require a visa to travel to Japan, an invitation letter will be provided to facilitate the visa application process. 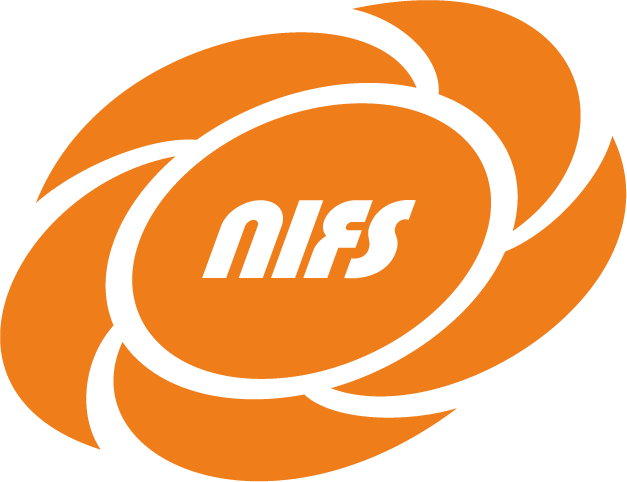 For this purpose please send an invitation letter request to the local organizers (mod-pmi2019@nifs.ac.jp) not later than 18 March 2019, providing your passport details (nationality, passport number, issue and expiry dates), and the mailing address to where the invitation letter is delivered. MoD-PMI 2019 will be held at a conference room in National Institute for Fusion Science. The meeting will start on Tuesday morning (18th June) and finish in the afternoon of Thursday (20th June). Delagates are responsible for arranging their own accomodation. Information of hotels near Tajimi train station is following. 3-star hotel with a bathhouse & dining. 9-minute walk from Tajimi train station. 3-star hotel with free breakfast. 2 km from Tajimi train station. Budget hotel with free breakfast. 2-minute walk from Tajimi train station. A limited number of rooms in institute guest house (http://www.nifs.ac.jp/en/helicon/index.html) have been reserved. 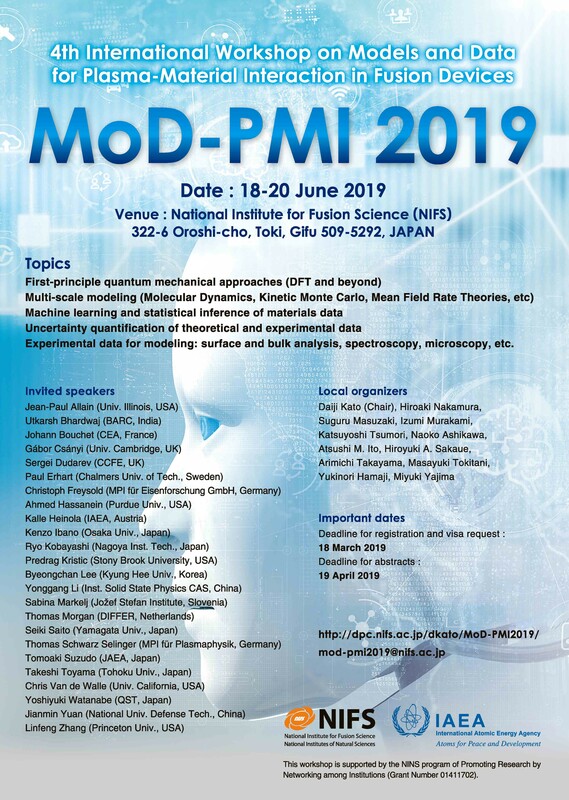 If you wish to reserve one of these rooms please contact to mod-pmi2019@nifs.ac.jp with a note that you are paricipant of MoD-PMI2019. The cost is 2,600 JPY per day.